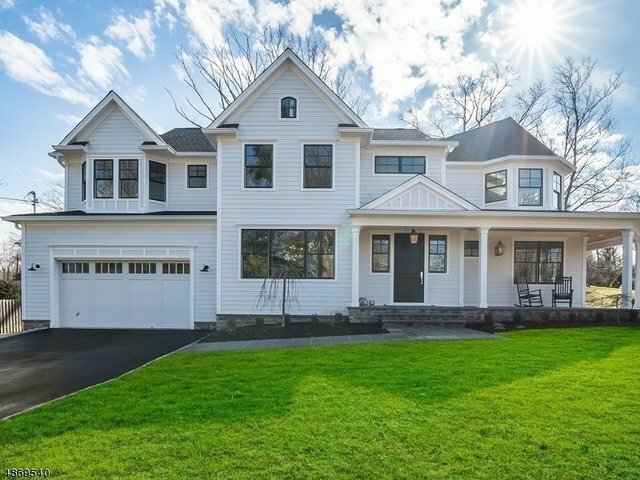 Custom Home, See Remarks, Single Family - Westfield Town, NJ Move right in to your new construction dream: a modern farmhouse! From the open concept kitchen & family room, to the luxurious master suite, this home will WOW you from the moment you enter! Customized w the details in mind, this brand new home features top of the line building materials & finishes. 5bdrm/5fb/2halfb, formal DR, LR, family room w beautiful gas FP, breakfast area, huge center island kitchen, full finished basement, stereo system ready, hot water return for hot water in an instant, large custom closets, tall ceilings, custom millwork and moulding, large spa-like master bathroom, third floor rec-room, spacious front porch with custom gas lanterns. Come see this stunning home! *NOTE: Westfield is currently undergoing a property tax re-evaluation: tax amounts are subject to change.